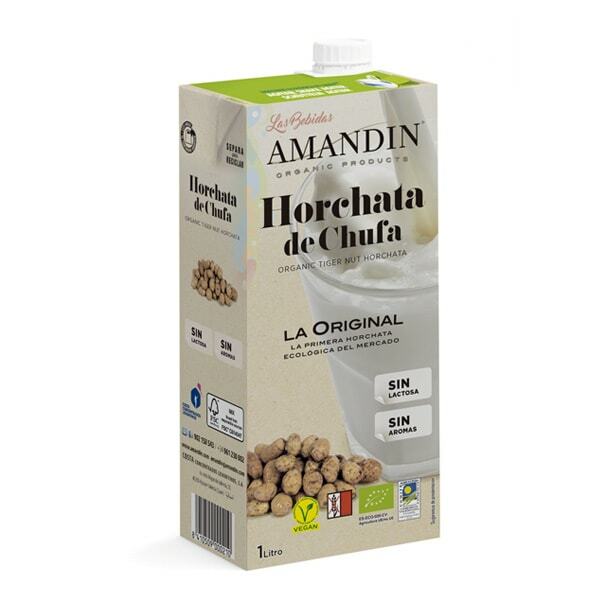 Horchata de Chufa, or Tiger Nut Milk is a delicious and nutritious nut free, lactose free, dairy free drink! It is made from soaking, blending and straining tiger nuts, and it originated in Spain many years ago. Legend has it that Horchata (spelled originally as Orxata) got its name when a young girl in a village offered some to the king of Catalunya in Spain. After enjoying the drink the king asked what it was. When the young girl answered ‘tiger nut milk’, the king exclaimed this isn’t milk, this is ‘Or, xata !’ In Catalan ‘or’ means gold, and ‘xata’ pronounced chata, means sweetie. Enough about history! We have searched high and low for ready made tiger nut milks that are healthy and delicious and we are excited to be able to bring your three! We found Amandin, a company that works hard to produce amazing organic gluten and dairy free products. You can choose between two versions of Amandin tiger nut milk, a sugar free version with agave, or a more traditional version made to the authentic sweet Spanish recipe and made using Chufa de Valencia tiger nuts . 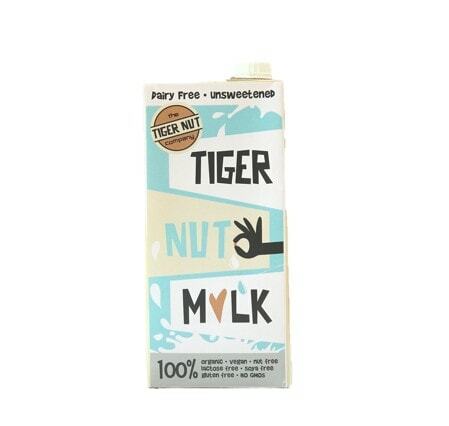 But we are super excited to be able to bring you another amazing tiger nut milk which tastes so natural and creamy! We have been working over the last year with a small eco-agricultural farm in Spain, Terra i Xufa, who has developed this amazing milk just for us. 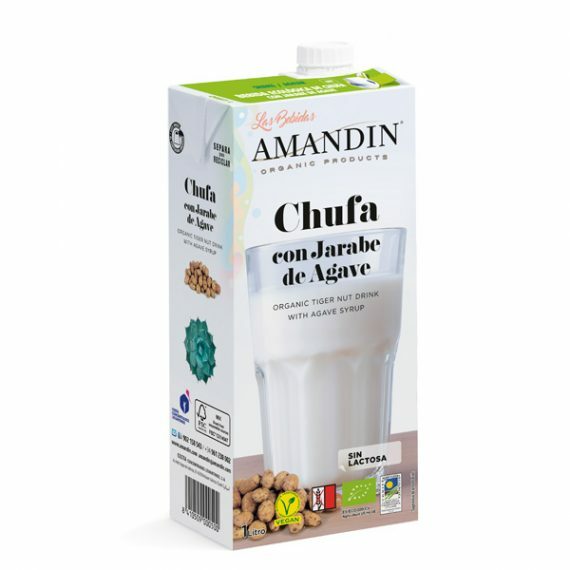 Also made with traditional Chufa de Valencia tiger nuts this unsweetened version has a real depth of tiger nut flavour, and is only 48 calories per 100 mls. It’s the closest to homemade you can get! We LOVE all three! All are organic and all are delicious dairy-free milk alternatives!